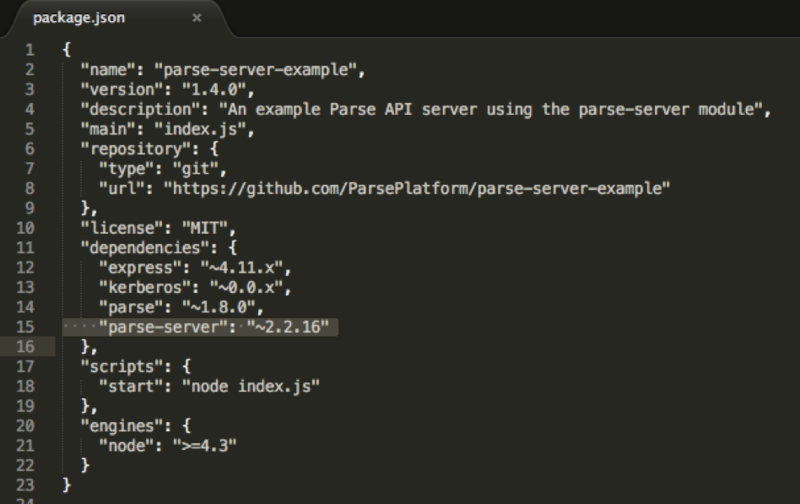 Sure, it's been deprecated, but Parse's users aren't staying quiet. See how you can connect MongoDB Atlas to a new Parse server. While the deprecated Parse.com (and api.parse.com) do not officially support MongoDB 3.2, the Parse Server community is alive and strong, and since Parse Server version 2.1.11, there has been support for MongoDB 3.2, which makes MongoDB Atlas an ideal back-end for new Parse Server based applications. 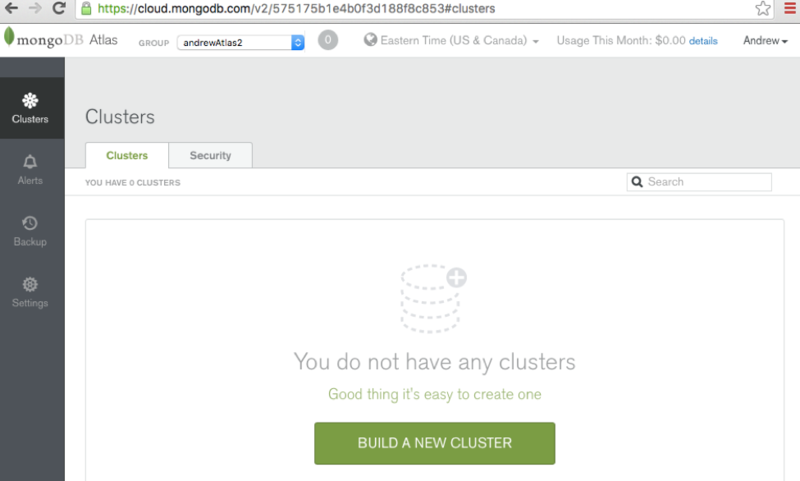 How to deploy a MongoDB Atlas cluster. 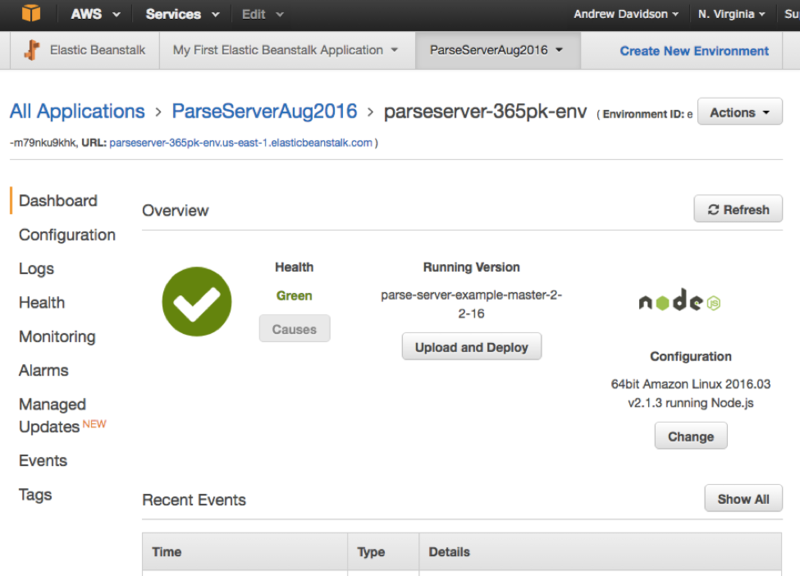 How to deploy the Parse Server (in our case we will show how to do so using AWS Elastic Beanstalk quick start, but updated to use the newest version of Parse Server). How to configure Parse Server to connect to MongoDB Atlas. Register for MongoDB Atlas at mongodb.com/atlas. Build and deploy your first cluster (we’ll use a small M10 instance-sized replica set for our example and deploy it into the US East region). We’ll create a user with at least readWrite on the applicationDbName database (or the user with readWriteAnyDatabase@admin, which gets created automatically, will do). 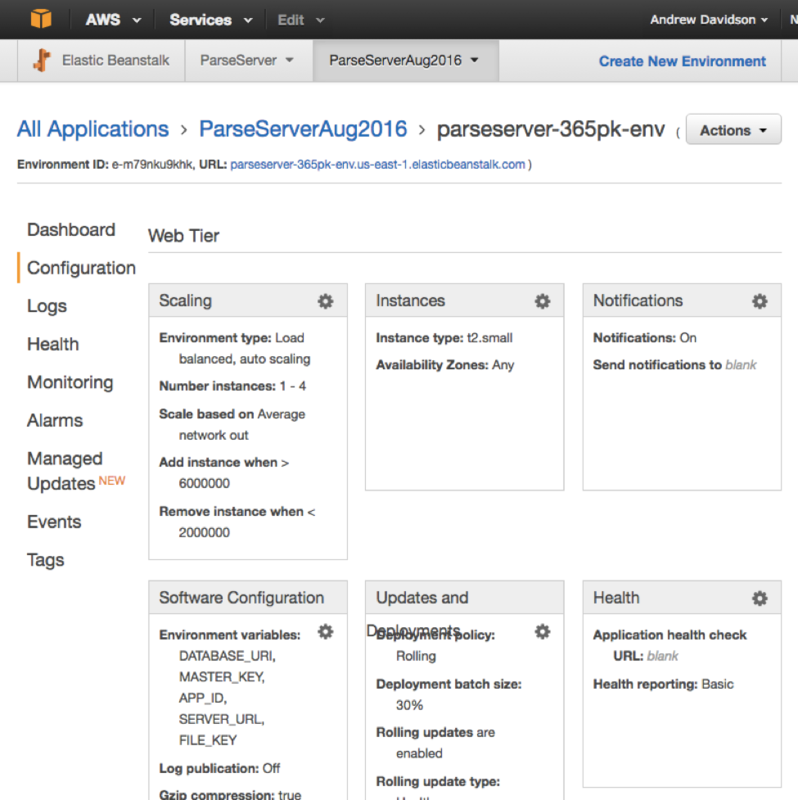 Click for AWS Elastic Beanstalk for the Parse Server quick start deployment example. But we will make sure we install Parse Server 2.1.12 or higher, e.g. 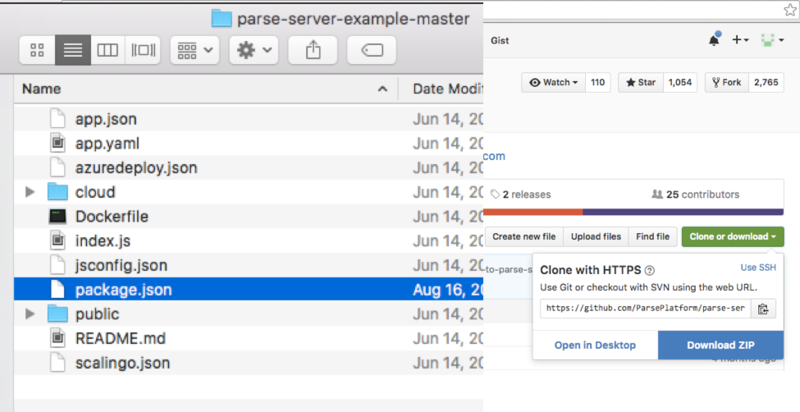 in parse-server-example, ensure that the package.json file includes "parse-server": "~2.2.16" (where 2.2.16 is the current latest at time of this writing). 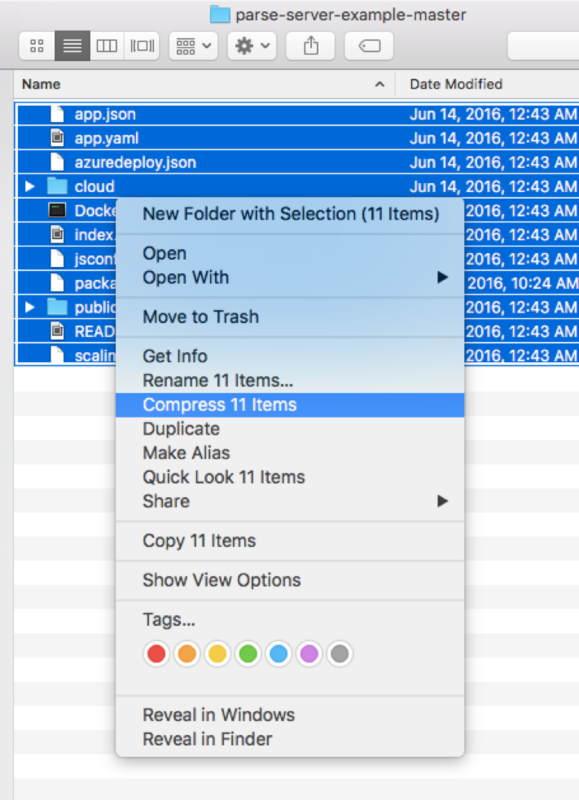 If we extract the zip file, we can edit the version in package.json. We’ll set the Parse Server version to 2.2.16 (latest at time of writing). We’ll select the files in the directory and re-compress them into a new zip file. We’ll upload our new zip file so that it can be deployed. Configure Parse Server to connect to MongoDB Atlas. 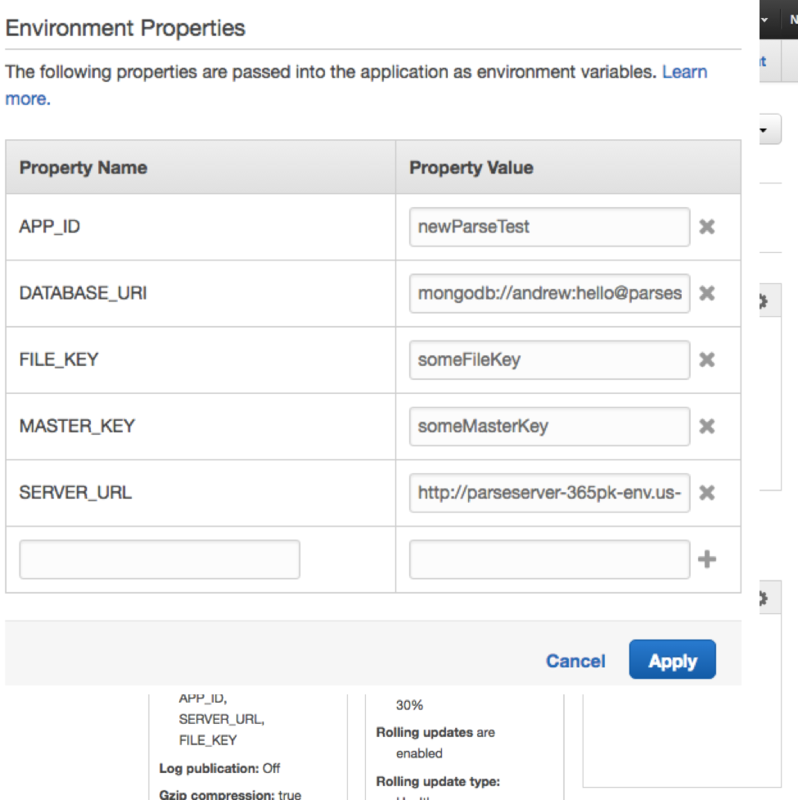 Inside the AWS Elastic Beanstalk UI. We’ll navigate to the “Configuration” section on the left-hand menu. In the environment properties, we’ll use any myAppId, myFileKey, mySecretMasterKey we want (since this is a new application, we set these). We’ll set the SERVER_URL to that which shows near the top of our AWS Elastic Beanstalk application UI to the right of "URL: ..."
We’ll set the DATABASE_URI as follows (replacing the bold text with our specific cluster’s details). We can see what the appropriate MongoDB URI should be inside of MongoDB Atlas’s “Connect” UI for the cluster, under the Driver connections section. Now you can use the SDK to build a new application pointing to your instance of Parse Server + MongoDB Atlas! Published at DZone with permission of Andrew Davidson , DZone MVB. See the original article here.